For the third derby of the season, manager Ivan Golac made just one change in the starting line up. Brian Welsh returning after injury, in of Alex Cleland. It was fast and furious from the word go, but it was United who got their noses in front when a Billy McKinlay free-kick was deflected for a corner. The 'B' international skipper took the kick himself and Brian Welsh out jumped Blake to glance a header in on goal. The ball was blocked on the line and Paddy Connolly stabbed the rebound over the home.Two minutes later and United were denied what appeared a blatant penalty as Mathers first touch let him down and the ball ran to Scott Crabbe. He pushed it past the Dundee keeper who then brought the United striker clattering to the ground. 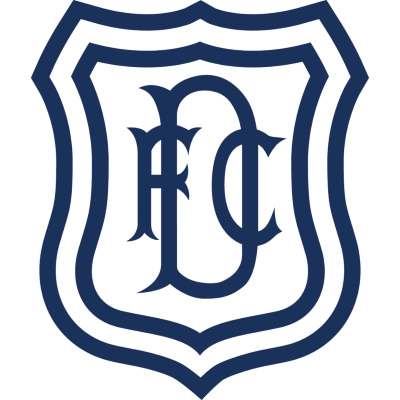 Dundee almost snatched an eaualiser with what was their first shot on target midway through the first half when Tosh first timed a shot from 20 yards which Guido Van de Kamp palmed away for a corner. Right on half-time the Tangerines, and Gordan Petric in particular, were unlucky not to score. Another comer from the right was met by the Yugoslav whose powerful header looked to be certain scorer until Vrto acrobatically back-heeled the ball off the line. Shortly after Craig Brewster headed past from very close range, Dundee were given the perfect opportunity to get back in the match when Gordan Petric was adjudged to have pushed Wieghorst in the box. Guido Van de Kamp, however, brilliantly saved Shaw's well struck penalty. On the hour mark Dundee were again indebted to a remarkable goalline clearance to keep them in the match. Mathers was obviously distracted by the presence of Craig Brewster as they challenged for a high cross and the ball broke to Paddy Connoily whose chip beat Mathers, but Blake running back somehow managed to scoop the ball off the line and into Mathers arms. Dundee then threatened with a glancing Tosh header and a Frail shot, but both were wide of the target before Mathers tipped a Craig Brewster shot round the post. 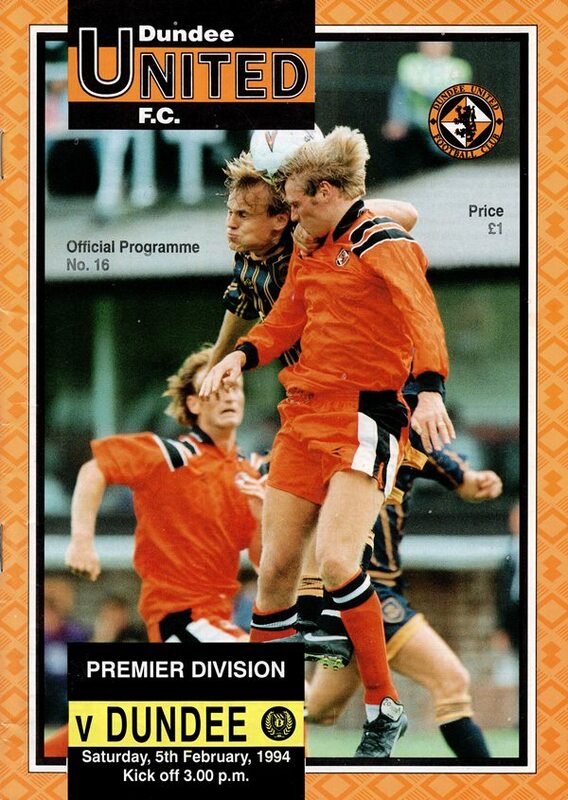 But the Dundee equaliser which had been threatening turned into reality thirteen minutes from time when Wieghorst slipped the ball into the path of Dragutln Ristic and with a clear run in on goal, he went on to drill a low shot past an exposed Guido Van de Kamp. An awful lot of football has been played since our last home game with four of our last five games having been away from home, but I am very pleased with the way a lot of things have gone. Considering our last three league matches have been away from home, taking six points out of eight has got to be considered satisfactory. That coupled with our progress in the cup at Arbroath last Saturday means that the first month since the turn of the year has been a good one. In addition, there have been a lot of solid displays by many in the side, but I was not happy about the manner in which we conceded a late goal at Perth nor the two we lost at Gayfield. I am not one who looks for excuses, but the absence of Brian Welsh in both those games was a factor in the loss of three soft goals and I am pleased that we should be able to welcome him back this afternoon. But the boys know the errors they have made and now I want them to raise the standards achieved in January by 25% in the vitally important month which lies ahead. I wouldn't complain if we achieved the same every month as in January, but if we are to compete for honours, we will need to lift our standards that little bit higher. After so many away games, we now have three consecutive home games to look forward to and there is no need for me to stress how important they all are, but everyone at the club is looking forward to the challenge. Another very pleasing feature has been the response from our supporters. At both Perth and Arbroath, where we sold out our allocation of tickets, our support was tremendous and I am sure'the numbers following us will continue to grow if we can continue and improve upon our recent form. 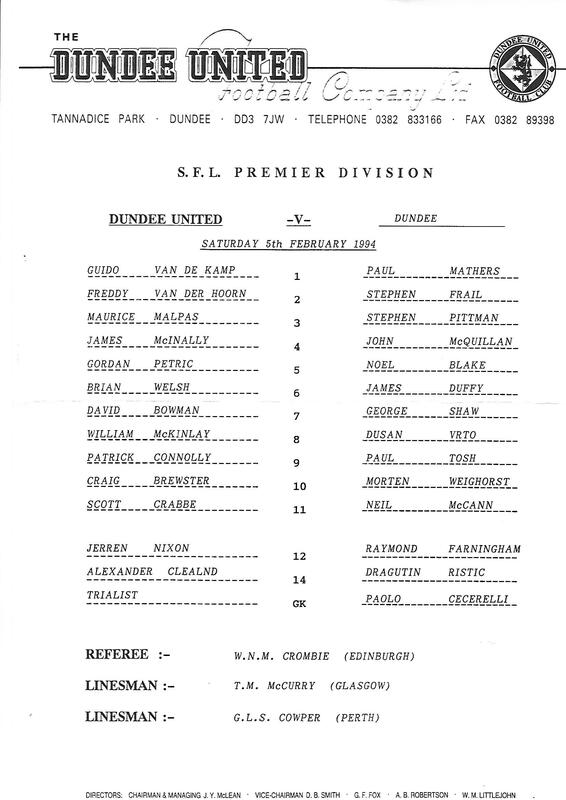 Though the supporters will obviously view it differently, the visit of Dundee is in my book like other game and I will ask the lads to play it simple with aggression which we failed to do in the sec'ond half at Gayfield, though the very windy conditions obviously didn't help. February is a key month and the target I have set the players is a minimum of five points out of six in the league and a place in the quarter finals of the Scottish Cup. Hopefully, we can take our first steps towards achieving that goal this afternoon.